All of the recordings I have selected below are united by their pianists’ use of tone and touch, and all of them have been profoundly influential in the development of the piano in jazz. When I heard this track in my late teens, it was the first instance of me becoming aware of a pianist’s sound. After the statement of the main theme, there is a second theme that features an amazing clarinet duet between Jimmy Hamilton and Russell Procope, and what really got to me was Ellington’s comping in this section. He plays a series of ascending, stabbed two-note figures that seem to be carved out of thin air, completely masterful and adding a wonderful compositional element. As I began to listen more to Ellington’s work through four decades, I realized that he always had a certain sound-on various pianos, stereo or mono, live or in the studio-and so I began to see that one’s sound is in one’s body, one’s ears and one’s imagination. A real eye-opener. In the early ’60s, Bill Evans, deep in his heroin addiction, had a liquid, clear and expressive piano sound. His ability to phrase right-hand lines that were shaped with the left hand (with true voice-leading) changed jazz piano forever. 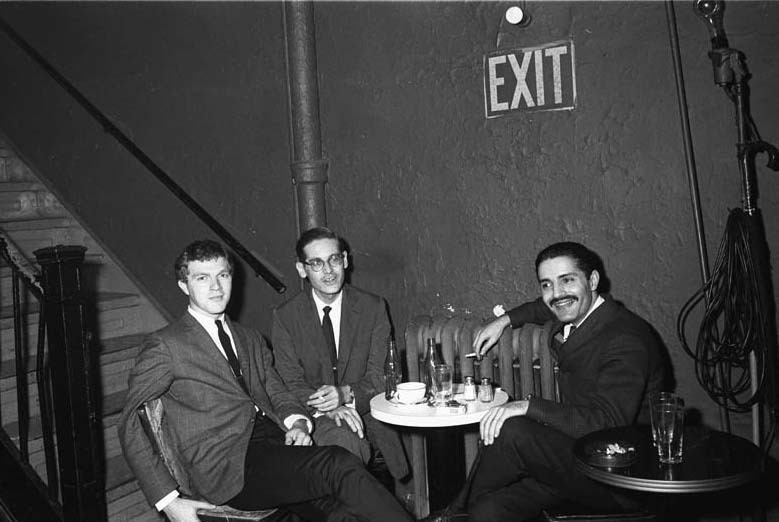 By moving the left hand up the keyboard, a good octave or so above the beboppers and postboppers, it gained clarity and made it possible for bassist Scott LaFaro to emerge as a strong melodic and rhythmic voice; and drummer Paul Motian could imply the time rather than overtly state it. This was one of the great piano trios. (See the next selection for another.) On this track, the way Evans uses both hands together creates a beautiful, suspended and unique sound-space. For me, the only other time he had a sound and vision this special was on his triple-tracked studio album from 1963, Conversations With Myself. 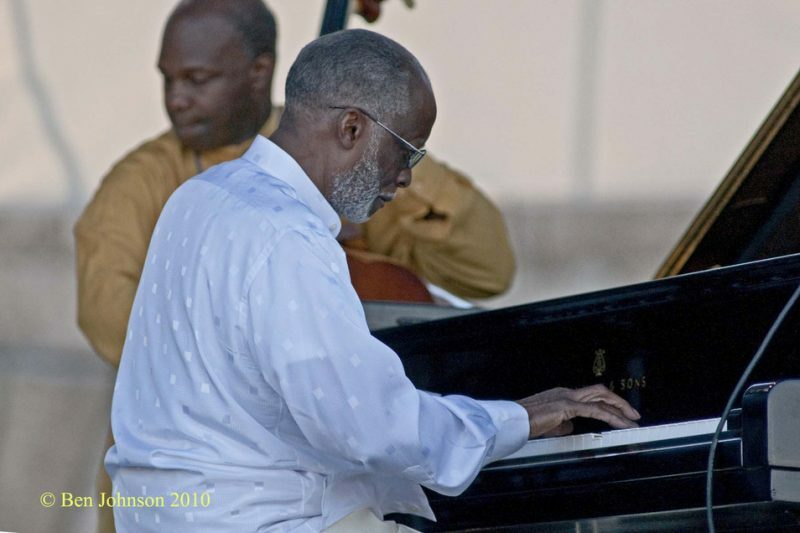 Ahmad Jamal is the master of piano tone. He had it all going on when he was in his 20s on the classic trio dates with bassist Israel Crosby and drummer Vernel Fournier, many recorded live at various Chicago nightspots including the Pershing and Jamal’s own club, the Alhambra. 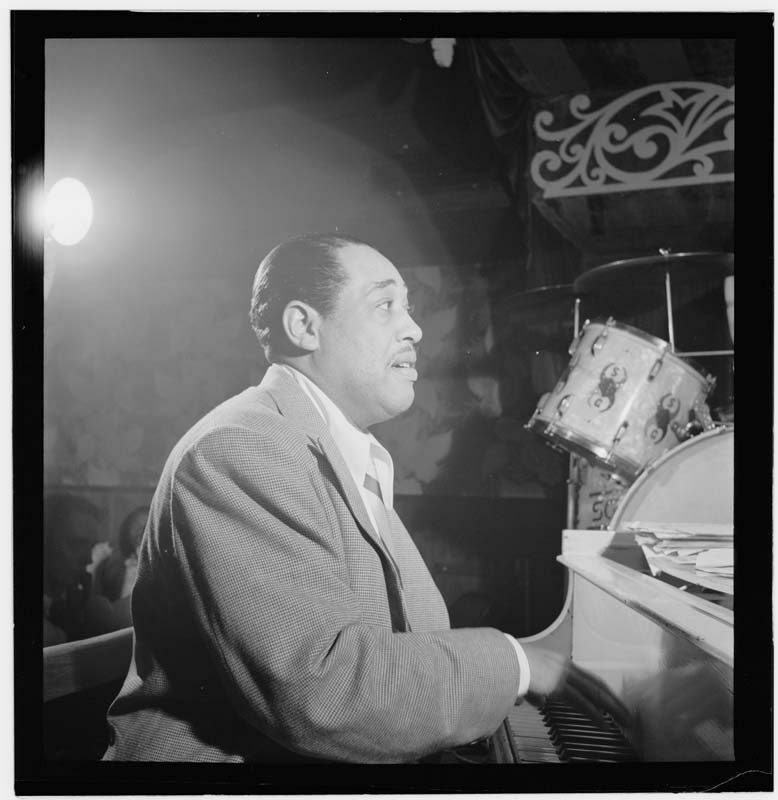 Though dismissed by some critics at the time as a “cocktail pianist,” he used space and the entire range of the piano-in combination with extremely clever arrangements and a killer groove. From these trio recordings, I discovered how one can use the highest octave of the piano, with a pearly sound, to great effect. This track demonstrates all of these qualities in abundance. Most of Jamal’s early trio albums have now been rereleased in inexpensive box sets, and are a must for anyone who plays in a rhythm section. 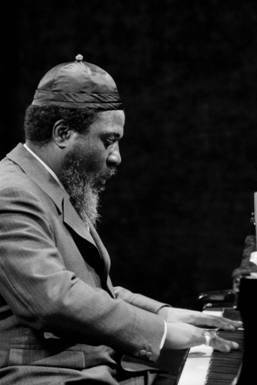 Monk’s piano sound and his impeccable sense of time were used to create music that is as much about the space around the notes as it is about the notes themselves. To me, his phrases seem almost sculpted out of the musical space around them. I have never thought of him as lacking technique (which is simply using what is needed to create what you want) nor as a “banger”-his touch is firm, percussive yet extremely expressive. He was a direct descendant of Earl Hines and Ellington in this way. When you hear him play this tune, with its sad-sack lyrics, he really seems to be singing the song through the piano and through his own experience. For sheer lushness of piano sound, nobody ever came close to Art Tatum: rich, round and flawless, whether in the studio (here) or live (which I like better, as he tended to stretch out more in a casual situation, such as the famous live house-party recordings from L.A.). Though some may find his improvising lacking in spontaneity, he came from the more formal lineage of James P. Johnson and had similarities to his peer Fats Waller in respect to his orchestral approach to the piano. He had his own vocabulary, as all the greats did, and still dazzles decades later. His playing of this standard shows everything that made him the piano god he was. Pianist-composer Fred Hersch is an eight-time Grammy nominee whose most recent album is Solo.(Palmetto). Visit him online at FredHersch.com.